Meeting started at 7:10 PM we had 9 members and 2 new Kim Drake, and Beverly Weymouth. Plant and herb swap had lots of plants and herbs to choose jumpin johnny, lily, parsley, thyme, lemon thyme, tomato plants, hasta, chamomile, just to name a few great turn out. Gale Luby had talked about Strawberry that takes tartar off teeth. Ginger – peel, chopped or squeezed into tea helps with sore throat, headache, motion sickness and digestive aid. Aloe helps hair to grow, helps burns, cuts, insect bites. Cherries have melatonin in them which make you sleepy. Cabbage is a probiotic and prebiotic, also packed with vitamin B good source of vitamin C.
Kidney beans are poisonous to people with type A blood. Black Walnuts highest protein content of any nut tree, the tree poison the ground under the tree. 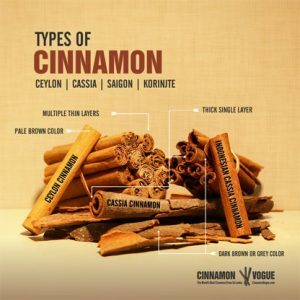 Cinnamon 4 kinds – Ceylon, Cassia, Saigon, Korinjte. Gale talked about coconut sugar instead of regular sugar looks like brown sugar, may alter the taste or color of a final product. Coconut sugar has 3 to 9% fructose and regular sugar is 50% fructose. Raw honey is another good sweetener. Bonnie Smiley: Passed away May 2017. Gale told us about her house, the kitchen wall was painted a rich coral color. And then she noticed a Amaryllis the same color on the table against the wall. New Business: Joan Phipps treasurer is not able to continue as treasurer at this time. Marian as the other signatory will collect the money temporarily until another person can be found to be treasurer. Anyone available??? It is not a major time consuming job. Brochures: Joan O’Connor brought in Concord Farmers Market Capitol street Concord NH. Buy local, nhmade.com, Fiddlehead book, a guide to living local in southern NH. Garden in the woods 180 Hemenway Road Framingham,Ma.01701. And to name a few Farmers Markets to visit: Hillsborough, Henniker, New Boston, Washington. Notices for meetings: Will be sent out to remind everyone who is doing what,who is the MC, Hostess, and herb of month. And the address will be send out for June meeting which will be at Marian at 4:00 PM. Hope to see you all at the next meeting.